Blue sapphire gemstone as known as the gemstone of Saturn and holds immense importance in Indian culture and astrology as Saturn is considered as the most strong celestial body in Indian astrology. 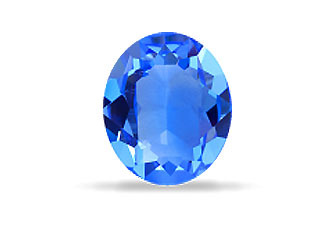 The Blue sapphire stone is also referred to as the Neelam stone in India and is known to offer unique benefits to the wearer of the gemstone. The Neelam stone is considered as one of the most important and influential gemstones in Indian astrology. It is referred to as the powerhouse of Saturn’s energy and if your horoscope has a weak Saturn, wearing a blue sapphire gemstone release positive energy of Saturn on the wearer of the gemstone. As per Indian astrology, wearing a Neelam stone can alter your fortunes, turn bad luck into good luck, help you achieve success and also is known to heal ailments related to the sensory organs, brain and the pituitary glands. The Kashmiri blue sapphire gemstones are found in the Kashmir Valley and are known as the best forms of Neelam stones. Popularly referred as the Mayur Neelam stones, the Kashmiri blue sapphire gemstones are highly valued and priced as these are considered as one of the finest variety of blue sapphire stones. The Kashmiri Neelam stone is highly popular due to its velvety texture and blue hue. Russian blue sapphire gemstones are mined in Russia and are much cheaper compared to another form of Neelam stones as these are considered inferior in quality and value. However, the Russian blue sapphire stones is an excellent alternative for persons who wish to wear a Neelam stone and have a low budget. As the name suggests, these blue sapphire gemstones are found in Ceylon, popularly referred to as Sri Lanka. These are probably considered as one of the most beautiful Neelam stones after the Kashmiri blue sapphire gemstones. Mined in Myanmar or Burma, the Burma Neelam stone offers a smooth cut and a fascination appearance for blue sapphire gemstones. The Australian blue sapphire stone is mined in New South Wales and Queensland in Australia. These blue sapphire gemstones are known for their dark colouration and are considered as a very high-quality Neelam stone. As per Indian astrology, the Neelam stone is the gemstone for Saturn and is known to attract good luck and fortune, and heal ailments and diseases associated with the sensory organs, the pituitary gland and the brain. According to Vedic sciences and chakra healing sciences, the blue sapphire gemstone should be worn on Saturdays. The Neelam stone is must be worn on the middle finger of the right hand by men while women can opt to wear the Neelam stone on the middle finger of either hands. Silver is considered as the best metal for wearing a blue sapphire stone, though the Neelam stone can also be worn as a pendant.